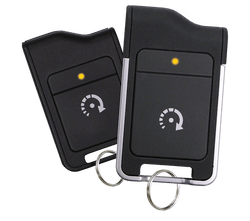 2-Way One Button Remote Start System offers one button remote start with 1/2-mile range and LED confirmation. Includes two ultra-miniature 1-button 2-way remotes. 1-Way Remote Start System features 1/4-mile range and two 4-button 1-way remote controls. This one of our most popluar models. 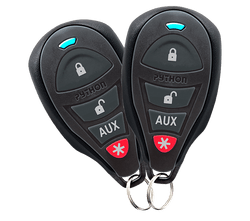 1-Way One Button Remote Start System starts your car with the push of a single button. Includes two miniature one-button 1-way remote controls. This model works great for newer vehicles with keyless entry system built right into the key.